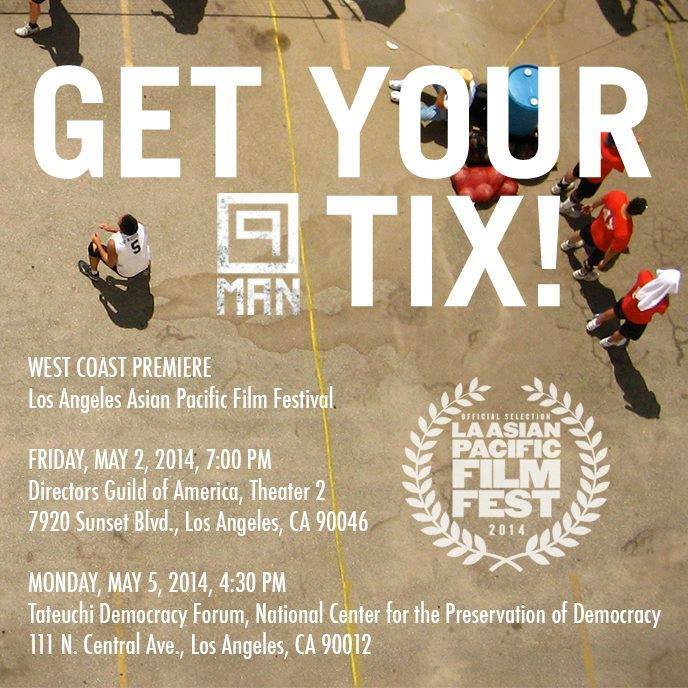 Visual Communications (VC), the nation’s premier Asian Pacific American media arts center, is presenting the 30th edition of the Los Angeles Asian Pacific Film Festival (LAAPFF) from May 1- 11, 2014. The Festival kicks off with the Los Angeles premiere of the 2014 Sundance Film Festival hit TO BE TAKEI, directed by Jennifer Kroot, and produced by Gerry Kim and Mayuran Tiruchelvam. 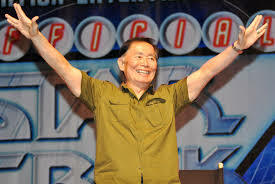 TO BE TAKEI chronicles actor, artist, activist and icon George Takei’s life history with wit, grace and whimsy: from his days on the popular television series STAR TREK, to his civil rights and marriage equality advocacy. TO BE TAKEI received its world premiere at the Sundance film festival, where it quickly became an audience favorite. The LAAPFF launches the celebration of Asian Pacific Heritage Month through this year’s slate of over 140 films from both Asian Pacific American and Asian international directors from over 20 countries. For three decades, the Festival has presented more than 3,600 films and shorts by Asian American and Asian international artists. Over the years the LAAPFF has presented many exciting titles, including: the award winning A RIVER CHANGES COURSE, directed by Kalyanee Mam; Gen Cajayon’s THE DEBUT; Justin Lin’s BETTER LUCK TOMORROW; and Lixin Fan’s LAST TRAIN HOME. Asian international artists who have graced past editions of the Film Festival include: Lino Brocka (BAYAN KO); Stanley Kwan (ROUGE); John Woo (BULLET IN THE HEAD); Park Kwang-su (TO THE STARRY ISLAND); Wong Kar-wai (CHUNGKING EXPRESS); Raymond Red (MANILA SKIES); and so many more. This year, a total of 143 films comprising 40 feature-length films and 103 shorts will be showcased throughout the 11-day fest and screened at the Director’s Guild of America (DGA), CGV Cinemas located in Koreatown, the Tateuchi Democracy Forum at JANM in Little Tokyo, and the historic Art Theatre of Long Beach. The Festival Centerpiece presentation, the road-trip comedy FARAH GOES BANG, directed by Meera Menon follows a woman in her 20s who tries to lose her virginity while on the road campaigning for presidential candidate John Kerry in 2004. 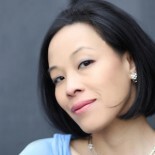 Menon’s feature directorial debut, premiered at the Tribeca Film Festival and she was awarded the Nora Ephron Prize for groundbreaking woman filmmaker. FARAH GOES BANG will screen onSunday, May 4 at the DGA. The LAAPFF continues its legacy of sharing stories from across the seas. This year’s Saturday Evening Showcase presents the fast-paced trans-Pacific romantic comedy, HOW TO FIGHT IN SIX INCH HEELS. Directed by longtime LAAPFF alum director Ham Tran (JOURNEY FROM THE FALL, Festival Closing Night 2006), the film centers around Anne (Kathy Uyen), a junior fashion designer who seems to have it all, including a master plan with her fiancé. But when he moves to Vietnam to set up a new field office for his company, she suspects him of cheating and cooks up a scheme to reveal his deceit by going undercover in Vietnam’s fashion industry. HOW TO FIGHT IN SIX INCH HEELS, already a box office hit in Vietnam, screens on Saturday May 3 at the DGA. Closing out this year’s celebration is the Pan-Asian culinary/romantic drama FINAL RECIPE, a Korea-Thai co-production starring CROUCHING TIGER, HIDDEN DRAGON star Michelle Yeoh and directed by award winning filmmaker and current Harvard lecturer Gina Kim. Mark (Henry Lau, of noted K-pop group Super Junior M) is determined to save his ailing grandfather’s restaurant with a victory on the top-rated Shanghai reality show “Final Recipe”. Yeoh plays the producer of the hit cooking competition and young Mark reminds her of someone she knew from years ago. FINAL RECIPE is the latest feature by Kim, whose works have been spotlighted at the Film Festival since the year 2000. In continuing the celebration of Hollywood legends, the Festival is honored to celebrate the work of pioneering actor Sessue Hayakawa and legendary concept artist Tyrus Wong. Hayakawa, considered a Hollywood pioneer, began his career in the early days of the American Film Industry and as the owner of Hayworth Studios, is considered to be the very first Asian American movie mogul. And Wong, a son of Chinese immigrants, is revered for his game-changing design concepts on the Disney film, BAMBI. He also painted thousands of storyboards and set illustrations for many live action films. With support from a grant from the Academy of Motion Picture Arts & Sciences, the Film Festival will pay tribute to Tyrus Wong with a special presentation of Nicholas Ray’s REBEL WITHOUT A CAUSE on Saturday, May 3 at the DGA; and a special artist talk with Pamela Tom, director of the forthcoming documentary BRUSHSTROKES IN HOLLYWOOD: A PORTRAIT OF TYRUS WONG on Wednesday, May 7 at JANM’s Tateuchi Democracy Forum. Hayakawa’s centennial tribute will comprise a twin-bill presentation of two of his starring vehicles, THE WRATH OF THE GODS (1914) and THE DRAGON PAINTER (1919), to screen on Sunday, May 4 at the DGA. Past Visual Communications board member and esteemed film preservation specialist Stephen Gong is slated to host the program, which will feature exclusive musical scores composed and performed by Bay Area jazz musician Mark Izu, with ensemble. The LAAPFF will again host the film and TV development initiative, PROJECT CATALYST. Evolving with the dynamic growth of the entertainment industry, Visual Communications designed this initiative to help usher in new stories and ideas into production and/or distribution. PROJECT CATALYST serves as a launching pad for filmmakers of Asian descent to showcase their narrative feature and TV spec projects to Financiers, Producers, Production Companies, Artists, Agents, Managers and Industry Executives. Select filmmaker fellows, will have participate in select networking engagements, enabling them with the contacts, information and confidence they need to make their film. This year, nine narrative projects have been chosen to participate in this unique opportunity. In addition to participating in the panels, a pitch session with the Jury and one-on-one industry meetings, a cash prize will be awarded. This award will be determined by an esteemed panel of jurors and will be announced at the closing ceremonies of the Festival. Filmmakers Soham Mehta and Rajiv Shah, and their project RUN THE TIDE, were the recipients of last year’s PROJECT CATALYST prize and are currently in pre-production. Every year, the LAAPFF International Showcase of new works from Asian highlights films and filmmakers from burgeoning filmmaker collectives throughout the continent. The Film Festival is especially pleased to celebrate the rise of a new generation of auteurs from the Philippines through its National Spotlight sidebar, “The New Face of Philippine Cinema.” Showcasing new works nurtured through such initiatives as the Cinemalaya Film Festival and Cinema One Originals Festival, the Festival is please to include in this spotlight: the U.S. Premiere screenings of REKORDER, by Mikhail Red and the award-winning KABISERA by Alfonso “Borgy” Torre III. Additionally, Siege Ledesma’s SHIFT, MIko Levelo’s BLUE BUSTAMANTE, and Alvin Yapan’s DEVOTION make their Los Angeles Premieres. Director Mikhail Red, son of pioneering Philippine independent director Raymond Red, is slated to introduce REKORDER, and will be joined by producer Pamela Reyes and actor Ronnie Quizon. Expanding outside of Los Angeles and Hollywood, Visual Communications will continue reaching out to audiences in the South Bay with the annual LAAPFF presence in Long Beach. A program of feature films and shorts has been selected to screen during the Closing Weekend of the Festival on May 10 at the historic Art Theatre of Long Beach. It will be a chance to see Film Festival award-winners and curated films from Pacific Islander, Filipino and Cambodian communities. This year’s Festival in Long Beach will include: a twin-bill screening of new features from Pacific Islanders in Communications, FAMILY INGREDIENTS by Ty Sanga and HULA: MERRIE MONARCH’S GOLDEN CELEBRTION by Roland Yamamoto; Angela Sun’s PLASTIC PARADE: THE GREAT PACIFIC GARBAGE PATCH; Masashiro Sugano’s CAMBODIAN SON; and Joel Quizon’s THE COTABATO SESSIONS. And, the Festival’s Encore Weekend in Little Tokyo will be anchored by the Los Angeles Premiere screening of Marissa Aroy’s DELANO MANONGS: FORGOTTEN HEROES OF THE UNITED FARM WORKERS MOVEMENT, and a special “return-engagement” of AMERICAN REVOLUTIONARY: THE EVOLUTION OF GRACE LEE BOGGS, directed by long-time Festival fave Grace Lee. This year’s competition of Asian Pacific American feature-length films reflects a varied group of compelling storytellers. For program information, a complete listing of sponsors and partners, and to purchase tickets, log on to www.vconline.org/festival or contact Visual Communications at (213) 680-4462 x59. The Festival is honored to partner once again with the Directors Guild of America as its main screening venue during the Festival’s Opening Weekend. This state-of-the-art theater is where the Festival will screen its Opening Night Film as well as its Centerpiece Presentations and hold seminars. The Festival will also screen at CGV Cinemas, situated in the heart of Los Angeles Koreatown. Festival screenings will begin on Friday May 2, through the Closing Night Gala on May 8. The Festival returns to Los Angeles Little Tokyo with screenings at the Japanese American National Museum’s Tateuchi Democracy Forum, May 5 through May 11. The screenings in Long Beach will be held at the historic Art Theatre on Saturday, May 10. 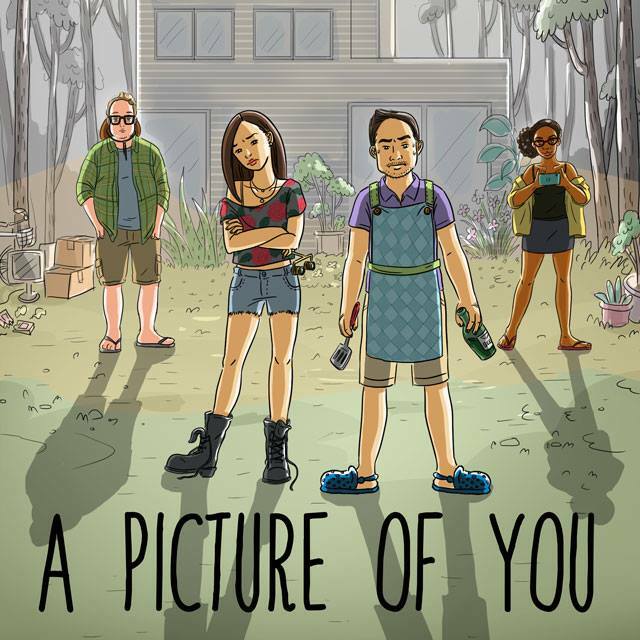 This entry was posted on May 1, 2014 by Lia Chang in Uncategorized and tagged 100 DAYS, 9-MAN, A LEADING MAN, A PICTURE OF YOU, A VENGEFUL HEART, Alan Yuen, Alfonso “Borgy” Torre III, Alvin Yapan, AMERICAN REVOLUTIONARY: THE EVOLUTION OF GRACE LEE BOGGS, Asian Pacific American media arts center, AWESOME ASIAN BAD GUYS, “The New Face of Philippine Cinema, ” REKORDER, Backstage Pass with Lia Chang, BLUE BUSTAMANTE, BRAHMIN BULLS, BRUSHSTROKES IN HOLLYWOOD: A PORTRAIT OF TYRUS WONG, by Dustin Tri Nguyen, by Mikhail Red, CAMBODIAN SON, Charles Chu, CHU AND BLOSSOM, CICADA, CONCRETE CLOUDS, Dean Yamada, DELANO MANONGS: FORGOTTEN HEROES OF THE UNITED FARM WORKERS MOVEMENT, DEVOTION, Dianne Fukami, Eli Olson, Emil Heradi, Esy Casey, FAMILY INGREDIENTS, FARAH GOES BANG, FINAL RECIPE, FIRESTORM, Fred Ho, Gavin Kelly, George Takei, Gerry Kim, Gina Kim, Grace Lee, Ham Tran, Hao Wu, Henry Chan, HIDE & SEEK, HOW TO FIGHT IN SIX INCH HEELS, Huh Jung, HULA: MERRIE MONARCH’S GOLDEN CELEBRATION, ICE POISON, J.P. Chan, JEEPNEY, Jennifer Kroot, Joel Quizon, KABISERA, Kim Jae-han, LAST YEAR, Lee Chatametikool, Lia Chang, Lisa Takeba, LORDVILLE, Los Angeles, Los Angeles Asian Pacific Film Festival, Los Angeles Asian Pacific Film Festival (LAAPFF) TO BE TAKEI, Mahesh Pailoor, Marissa Aroy, Masahiro Sugano, Masashiro Sugano, Mayuran Tiruchelvam, Meera Menon, Midi Z, MIko Levelo, Narges Abyar, OBJECTS IN MIRROR, ONCE UPON A TIME IN VIETNAM, Pamela Tom, Patrick Epino, PLASTIC PARADE: THE GREAT PACIFIC GARBAGE PATCH, Rajiv Shah, Rea Tajiri, REBEL WITHOUT A CAUSE, Roland Yamamoto; Angela Sun, RUN THE TIDE, SAGARMATHA, Sessue Hayakawa, SHIFT, Siege Ledesma, Soham Mehta, Star Trek, Stephen Dypiangco, Stephen Gong, Steven De Castro, Steven Kung, STORIES FROM TOHOKU, Sundance Film Festival, THE COTABATO SESSIONS, THE PINKIE, THE ROAD TO FAME, THE WRATH OF THE GODS (1914) and THE DRAGON PAINTER (1919), THUY, Tribeca Film Festival, Ty Sanga, Tyrus Wong, Ursula Liang, Victor Vu, Visual Communications, Visual Communications (VC).